Read classic books in 20 minutes a day. "This is perfect for finally reading those great classics of literature." "Makes reading in your spare time accessible and fun. Couldn't recommend it any more." "I love this app! It's such a good way to add a little more reading to my day." 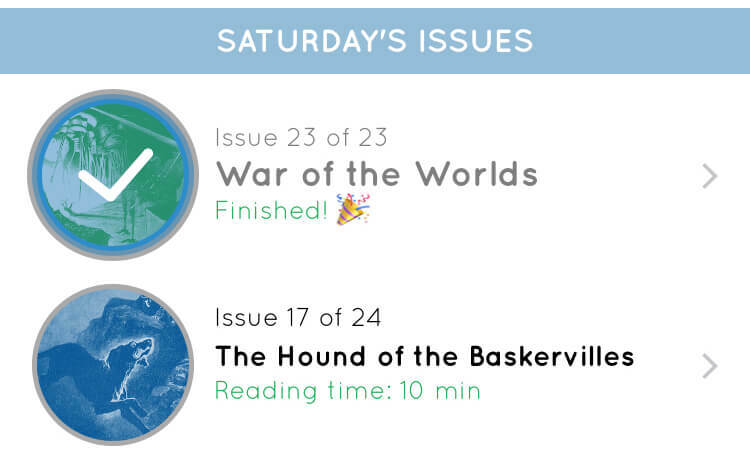 "If you find it difficult to nail down a reading habit this is a fantastic app to help and encourage you to read piece by piece." "If you’re the type of reader that has a hard time getting the momentum going, then this is the perfect solution!" "Thank you for finding the solution for me to read books I thought I didn’t have the time to read!"